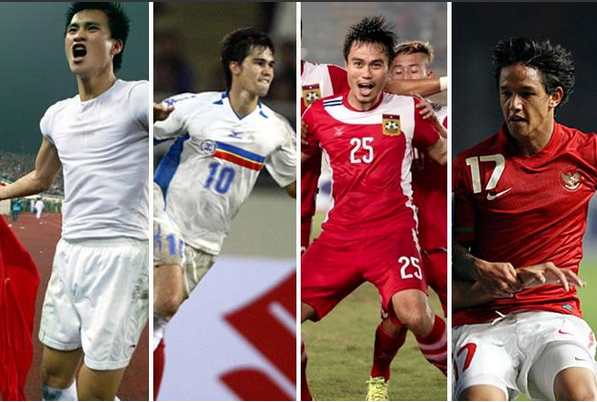 South East Asia’s biannual football extravaganza is upon us. 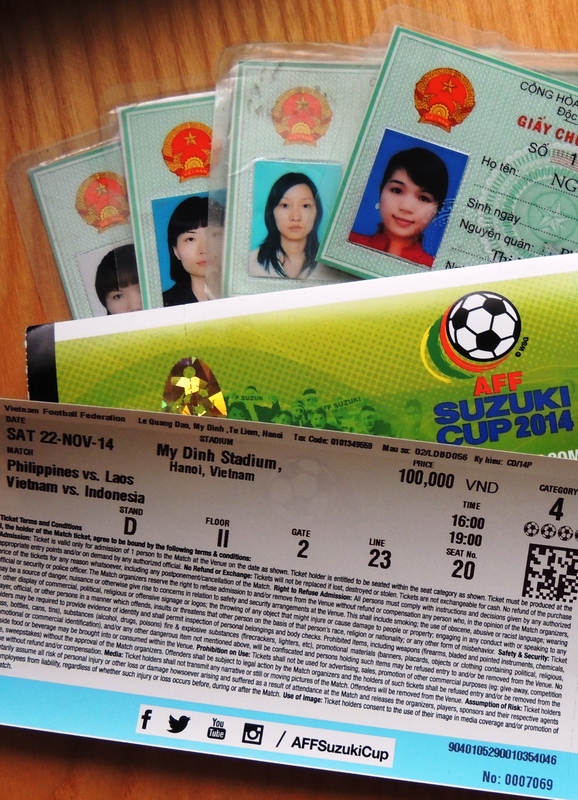 The AFF SUZUKI CUP 2014 kicks off on Saturday and will be co-hosted by Vietnam and Singapore. Here’s my quick take on what to expect in the next four weeks. The 2008 champions and hosts will be expected to get out of the group along with either Indonesia or the Philippines. Laos, who earned a place through qualifying are many’s tip to be the whipping boys. Look out for Vietnams fantastic array of attacking quality, with Le Cong Vinh, Nguyen Van Quyet, Pham Thanh Luong, and in form Mac Hong Quan. Close your eyes though when the home nation are defending, to say the defence looked shaky in the last two matches is something of an understatement. Interesting fact: It will be an emotional return for Indonesian coach Alfred Riedl, who had three stints in charge of Vietnam’s national team and even received a new kidney from a Vietnamese citizen in 2007. The tournaments two most successful teams,Singapore and Thailand, are joined by 2010 champions Malaysia in an intriguing group. Completing the group are qualification winners Myanmar. The rivalry between the teams should create great atmospheres (even Myanmar have already sold out their ticket allocation when they face Singapore) and the the first competitive game at the new national stadium just happens to be Thailand against the hosts. Bring on Sunday. Capacity is somewhere between 38,00-42,000 depending on which source you read. A nice stadium, which unfortunately has the typically huge running track between fans and action. Attendances will rise as the tournament progresses, but only if the hosts are winning. What to expect: Banh mi’s (delicious Vietnamese sandwiches) and plenty of red and yellow headbands. What not to expect: The Sun. In all my visits its always been a bleak affair. The home of my beloved HaNoi T&T will host the final group fixture between Indonesia and Laos. What to expect: A great little inner city stadium where the stands loom over the surrounding tree lined streets, while Ho Chi Minh looks over the proceedings on the field. What not to expect: Anything really.Water and suagry drinks can be purchased inside from an old lady at gate 2. 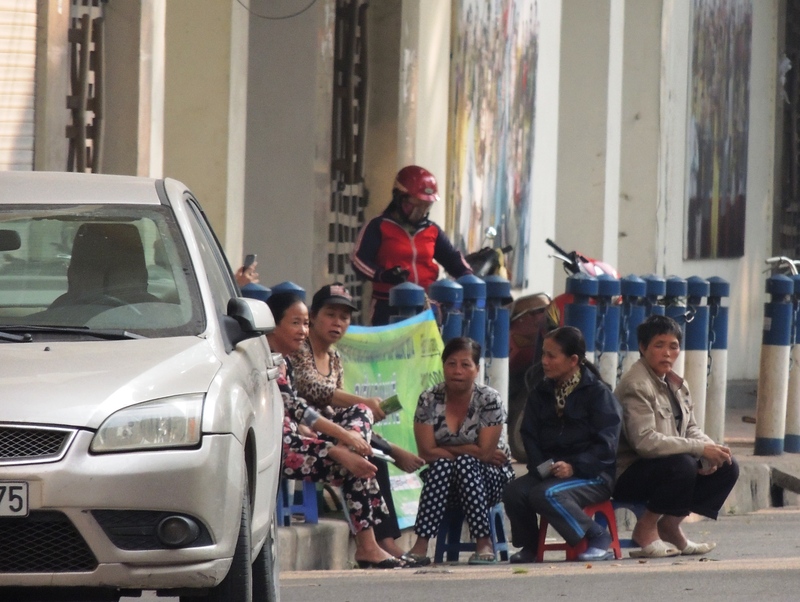 And fans; with Vietnam kicking off at the same time its doubtful many people will make their way to the game. New 55,000 stadium, not to dissimilar to a transformer. Depending on the event the stands and capacity can be adjusted to accommodate ‘football mode’, ‘athletics mode’ or cricket mode’. Juventus were invited over for the opening football match and the delectable Mariah Carey also performed at the stadium. kicking myself about that one. What to expect: A world class stadium; a cross between the Emirates and the Estadio de Luz, oh, with a pretty cool retractable roof. What not to expect: A decent playing surface. All efforts went in to designing/building the stadium, forgetting about the all important playing surface. Now where I have heard that before…. A last minute entrant due to fears that the National Stadiums pitch can’t handle two games in a day. In 2006 the pitch was resurfaced with Fifa 1 star recommended turf, at the cost of $1 million. Useless fact: Burnley FC played a friendly here in 2010. They actually won. IN HANOI: There’s a wooden foldout table set up at Hang Day stadium which a sleepy chap sits at. There’s few more at the My Dinh stadium and a sale point at a random sports centre ( No.59 Hoang Cau ). Or call 1080 using a telephone to reserve seats, but you’ll need a Vietnamese ID card for this. I got a few odd looks when I collected my tickets. 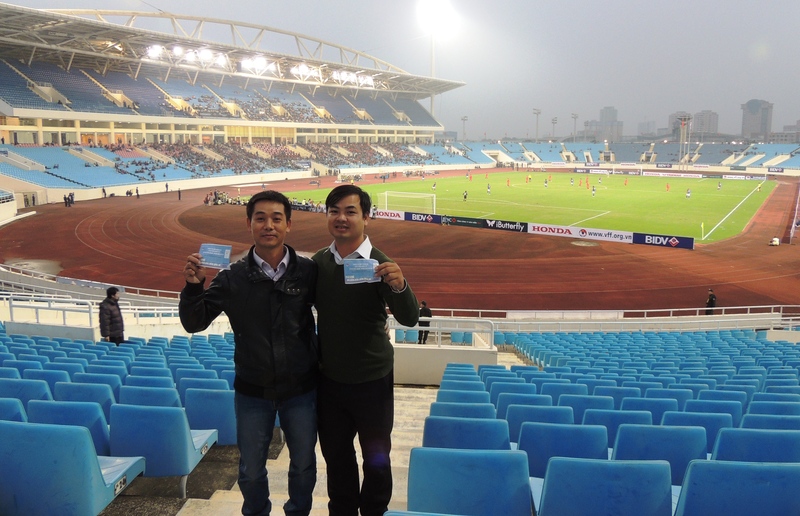 Match day prices range from 100,00–300,000 VND ($14-5) for the group stages. If Vietnam beat Indonesia in the opening game (and igniting a belief in the national team) some rather aggressive old ladies will be your only option. They are currently stationed next to and in-front of the ‘official’ ticket points. Alternatively drive past them, poke them with a stick and join the fans in a nearby cafe to watch the game on TV.